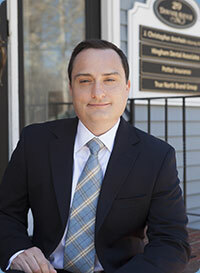 Hingham dentist Dr. Christopher Pellegrino takes a comprehensive approach to oral health, combining all of the aspects of dentistry (preventive, restorative, cosmetic, and periodontal care) to help you enjoy a beautiful and healthy smile now and well into the future. 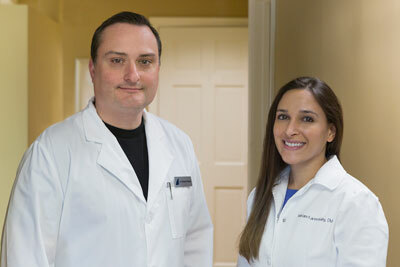 At Hingham Dental Associates, our philosophy isn’t to wait for problems to occur before we address them. We believe that being proactive is the best way to prevent small concerns from becoming big problems. For example, if we can catch a cavity early, when it’s still small, we can usually save a patient from needing more extensive dental treatment. 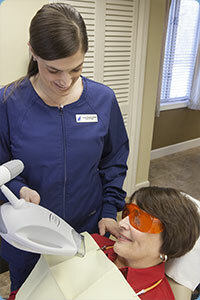 In our experience, quality preventive care results in a healthier smile. Restorative dentistry makes it easier to enjoy the things we take for granted with healthy teeth, like eating the foods we love and smiling with confidence. If you’re missing teeth, struggling with a dental injury, or living with chronic tooth pain, restorative dentistry can give your smile a second chance. Missing teeth? We can help! At Hingham Dental Associates we offer Dental Implants to help restore your smile. A dental implant is an artificial tooth root that is placed into your jaw to hold a replacement tooth, bridge or denture. Dental implant supported restorations are an ideal tooth replacement option because they look and function like a natural tooth. Our highly skilled staff periodontist, Dr. Valarie Smith has over 15 years of experience in placing dental implants. She works closely with Dr. Pellegrino using the most advanced materials and techniques to provide you with beautiful long lasting restorations. 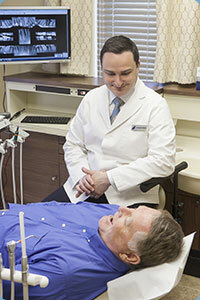 Improved appearance - Dental implants look and feel like your own teeth. Improved comfort - Dental implants can resolve the joint pain, and bite problems caused when teeth begin to shift following tooth loss. Improved eating - Dental implants function like your own teeth, allowing you to eat your favorite foods with confidence and without pain. Improved self-esteem - Dental implants can give you back your smile and help you feel better about yourself. Durability - Durability Dental Implants are very durable. With proper oral hygiene, and regular dental visits your implants will last many years. Although our main concern at Hingham Dental Associates is your oral health, we never underestimate the importance of having a beautiful smile that you’re proud to show off. In fact, studies have shown that an attractive smile makes better first impressions and can significantly improve your confidence and self-esteem. Cosmetic dentistry can make a big difference not only in the appearance of your smile, but also in how you feel about yourself. Excellent oral health is vital for a child’s development. At Hingham Dental Associates, we do everything we can to make dental visits effective, interesting, and fun for kids. Children receive professional cleaning appointments by registered dental hygienists. Some helpful techniques we use are dental puppets to teach oral hygiene instruction, sunglasses to protect their eyes from the bright dental light, and kid-friendly terminology to explain dental procedures. Our patient and caring staff help ease children’s nerves by creating a warm, friendly environment. According to the National Institutes of Health, half of Americans over age 35 currently have some degree of gum disease. The mild stage, known as gingivitis, is characterized by red,swollen gums that bleed every time you floss. If it’s caught early enough, gingivitis is completely reversible with in-office treatments and proper home care. Left undiagnosed, it can progress to more serious periodontal disease, which can result in tooth loss, infections, and an increased risk of heart attack and stroke. Dr. Smith along with our Registered Dental Hygienists specialize in surgical and non- surgical periodontal care to help you achieve optimal oral health.